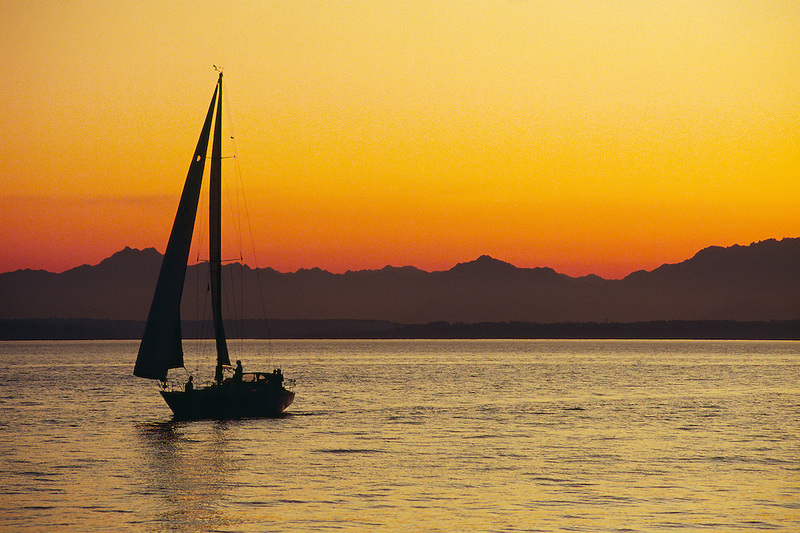 The alpine glow of sunset and the Olympic Mountains provides a majestic backdrop to a lone sailboat as it prepares to dock in Puget Sound outside of Seattle, Washington. Pacific Northwest. Summer. Evening.